Welcome to the Lestat musical fanlisting! Welcome to the The Fanlistings Network listed fanlisting for the musical Lestat. 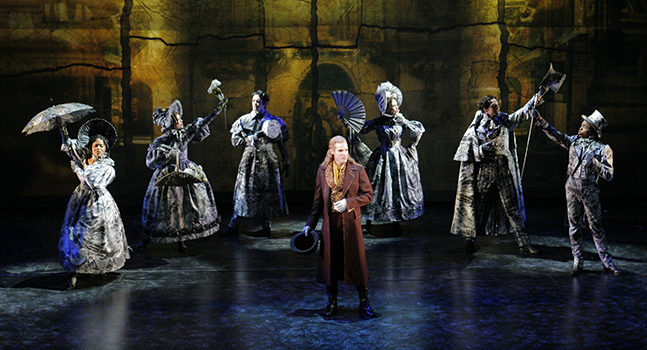 Lestat is a Broadway musical inspired by Anne Rice's The Vampire Chronicles. The score is by Elton John and Bernie Taupin, with the book by Linda Woolverton. The musical had a brief run on Broadway in 2006. We are now listing 31 approved fans from 12 different countries, with also 0 fans waiting to be added to the listing. Welcome to our newest member(s), Riho. This fanlisting is listed at The Fanlistings Network in the Stage/Theatre category.